As well as unveiling its Simband health tracker at its developer conference this week, Samsung also revealed that the Gear VR Innovator Edition headset will go on sale in early December, priced at $199. "The Innovator Edition, much like the Oculus Rift Development Kit, provides developers and enthusiasts everything they need to build and experiment with the platform before the hardware and software are ready for consumers. There are numerous made-for-VR apps that will ship for Gear VR over the next few months." 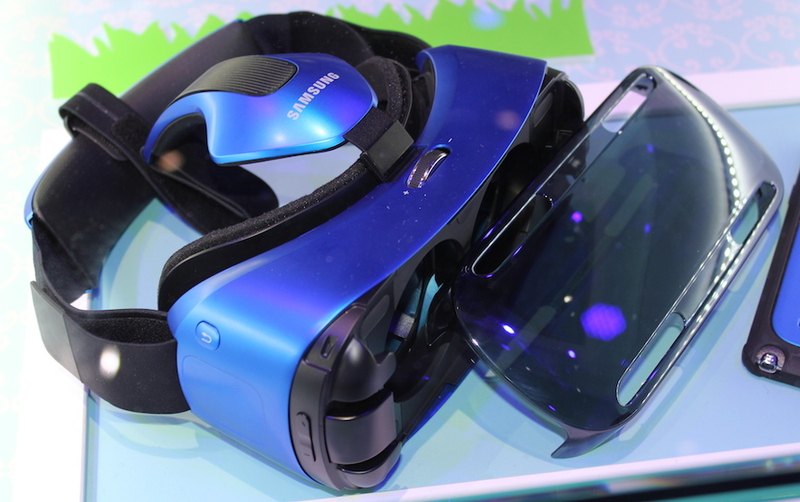 The Samsung Gear VR gained officialdom at IFA 2014 and, unlike the PC dependent Oculus Rift and PS4 connected Project Morpheus, the Samsung Gear VR is powered by a Samsung Galaxy Note 4. The smartphone simply slots into a Micro USB dock inside the headset, and a pair of lenses make the magic happen. Since Sammy took the covers off of the Gear VR both Carl Zeiss and Archos have offered up mobile powered VR headsets. Those devices don't have as much tech packed in as the Korean company's effort although both have cheaper price tags at $99 and $25 respectively. As well as the launch date for the Gear VR, Samsung also revealed a companion device for the headset by way of Project Beyond; a 3D-capturing 360-degree camera that records videos and live streams them on the Gear VR. There's no release details for Project Beyond, it's very much a prototype at this stage.